When it comes to dangerous situations, Richard is not a man to shy away. When it comes to dangerous situations, Richard is not a man to shy away. While he is bold and brave in his patriotism and service to our country, he is humble and quiet when it comes to his accomplishments. Richard will not boast about the fact that he served over 10 years in the Army during the Vietnam War, earning over 5 distinguished medals...and he likely won’t tell you he then went on to serve for another 9 years with the Department of Defense in law enforcement, serving in one of the SRT (S.W.A.T) teams, becoming a team leader as well as the team’s sniper. So, what does this brave veteran want to talk about? It’s simple: man’s best friend. Richard has been a dog lover his entire life. 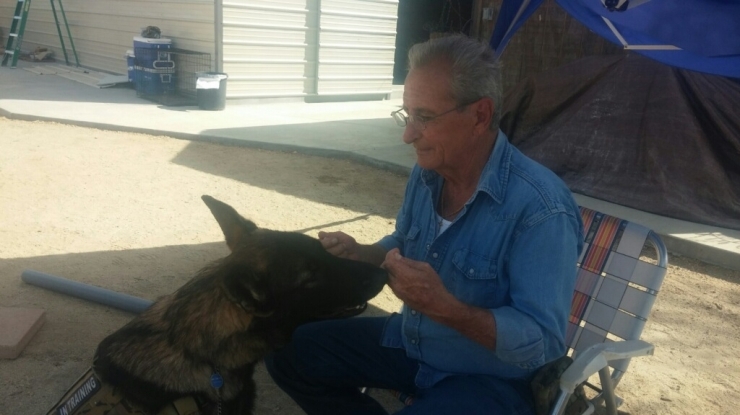 This 67 year-old man still remembers the love he felt for his best friend (and dog) Candy, who saved his life as a child when a car nearly hit him, sacrificing her own. Throughout Richard’s life, he has always had a furry companion -- one that has made many of life’s obstacles just a little bit easier. So how does Chive Charities fit into this story? 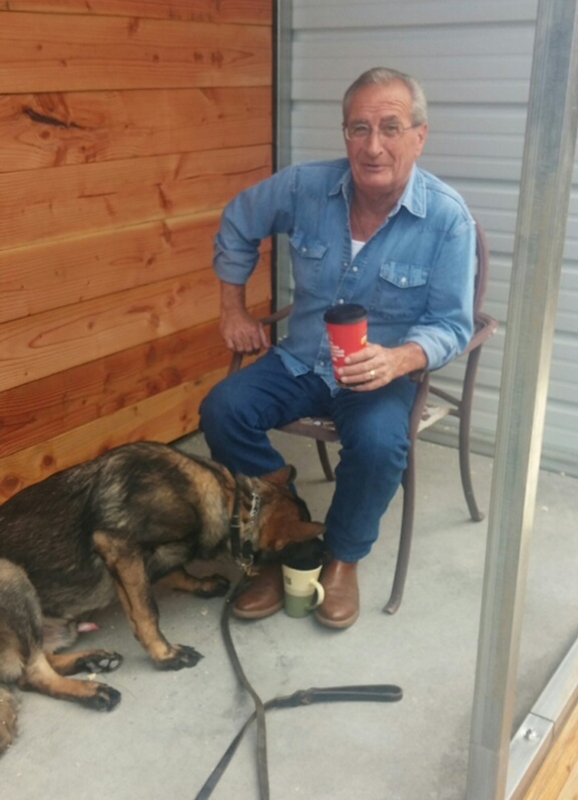 We are proud to say that in partnership with K9 Guardians, we were able to grant Richard his most important companion to date: a German Shepherd service dog name Nicholas. While Candy saved Richard’s life as a child, Nicholas is saving Richard’s life as an adult. Through all the brave positions Richard has held, one can only imagine the emotional and physical toll they have taken. Before Nicholas came into his life, Richard’s severe PTSD would make any social situation an unfathomable challenge. Richard compared the overwhelming feeling to that of a heart attack. Now, with Nicholas by his side, Richard is able to rejoin his community, sleep through the night, and walk wherever he needs to go with strength and dignity, knowing that his best friend would be there to catch him if he falls. Chive Charities was honored to donate $11,500 to cover the cost of Nicholas, to ensure this brave veteran would have a best friend and protector by his side for years to come. Richard’s service and sacrifice is a story that so many veterans share. PTSD is often referred to as an invisible wound of war, but countless veterans bear its mark. Chive Charities is committed to raising awareness of the effects of Post Traumatic Stress and how we can work together as a community to support those who have given so much to us through their brave service. If you are a veteran needing assistance please apply HERE. If you want to help support us in our mission to raise awareness and support veterans you can do so HERE.